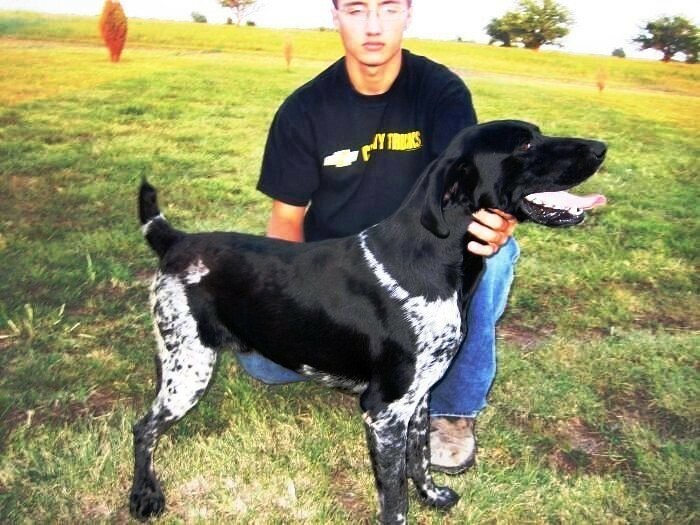 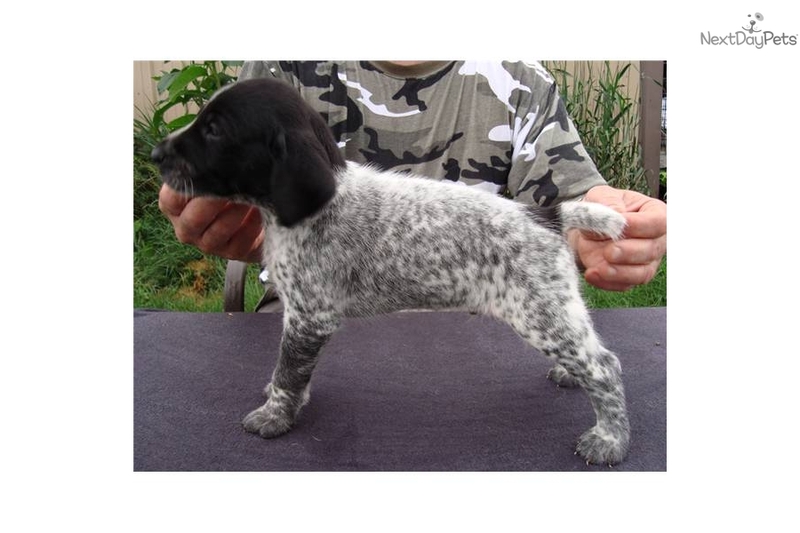 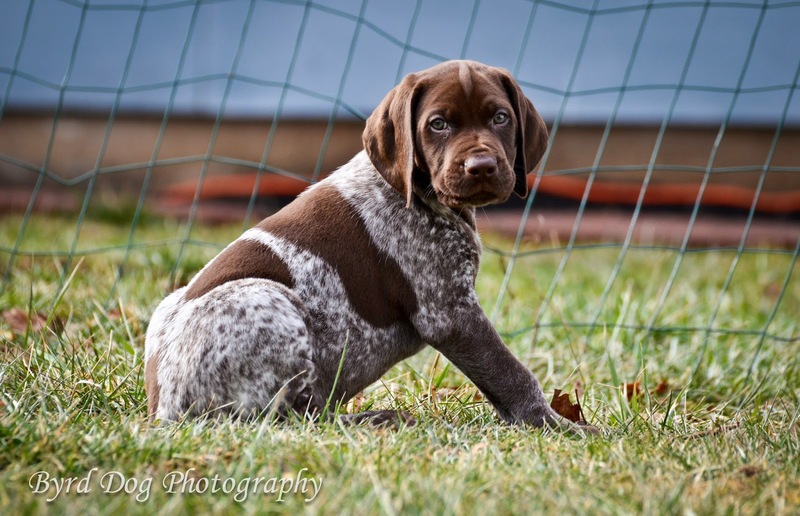 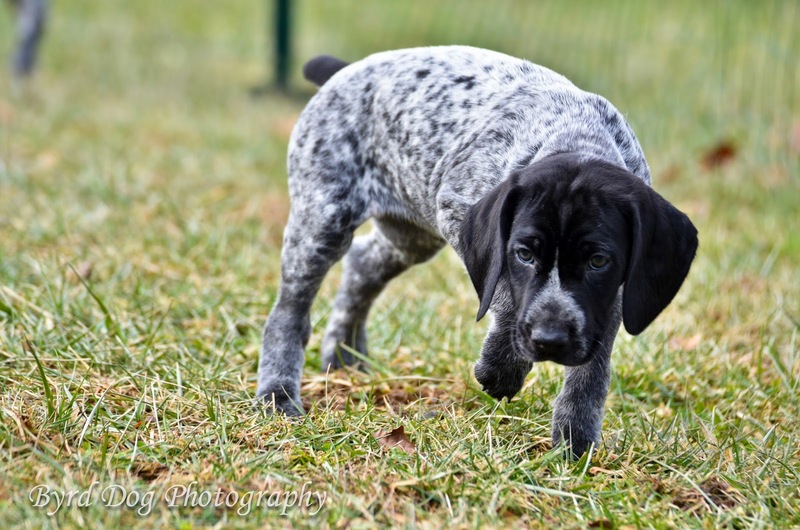 The German Shorthaired Pointer (GSP) is a medium to large sized breed of dog developed in the 19th century in Germany for hunting. 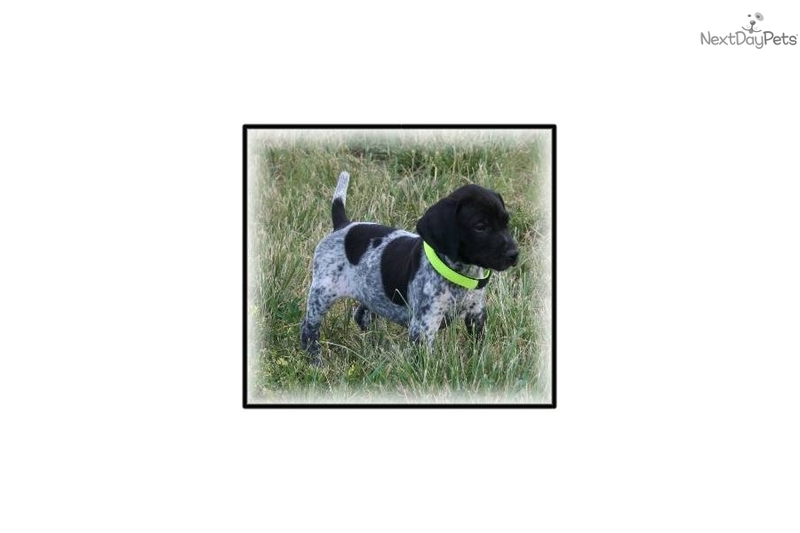 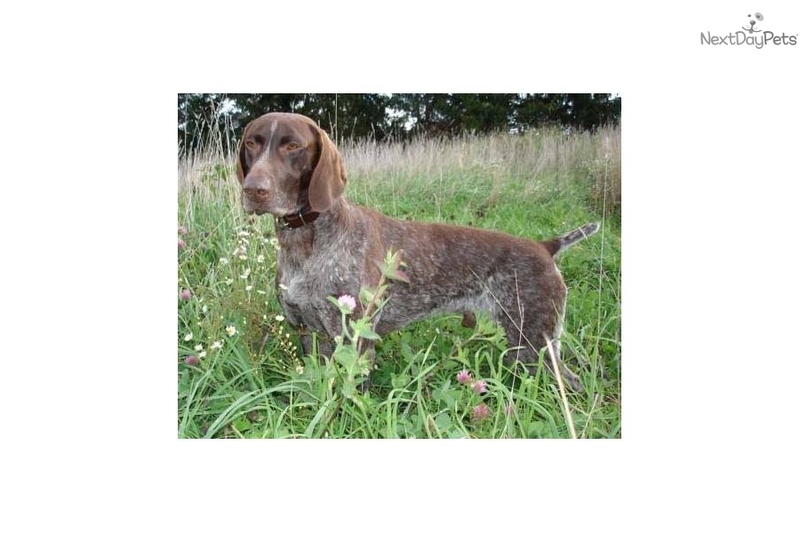 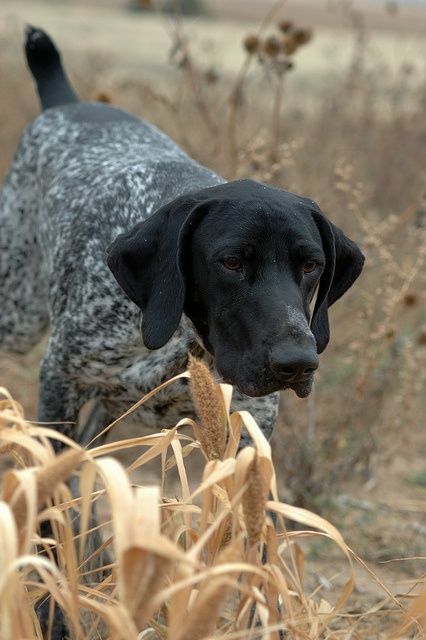 A versatile hunting breed, being an all-purpose gun breed of dog suitable for both land and water, it is streamlined yet powerful with strong legs that make it able to move rapidly and turn quickly. 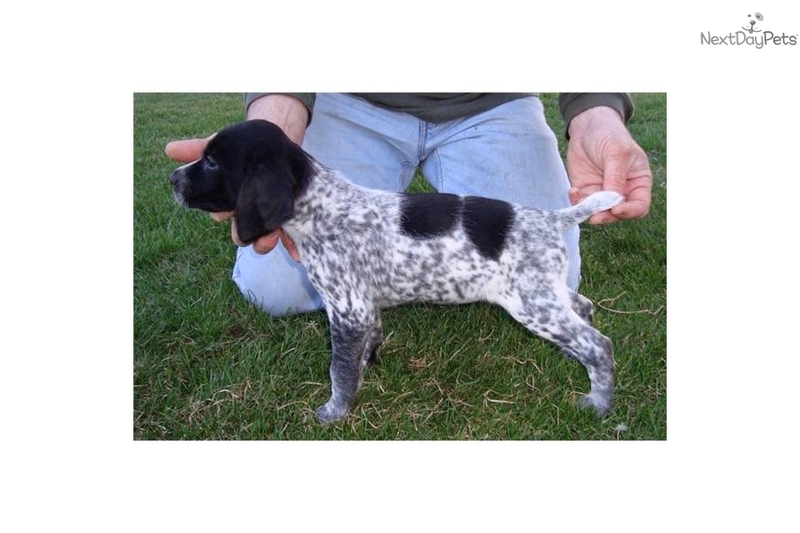 It has moderately long floppy ears set high on the head. 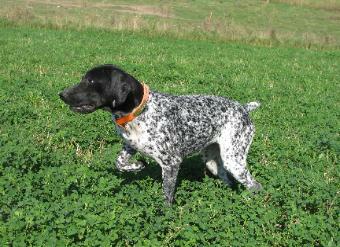 Its muzzle is long, broad, and strong, allowing it to retrieve even heavy game. 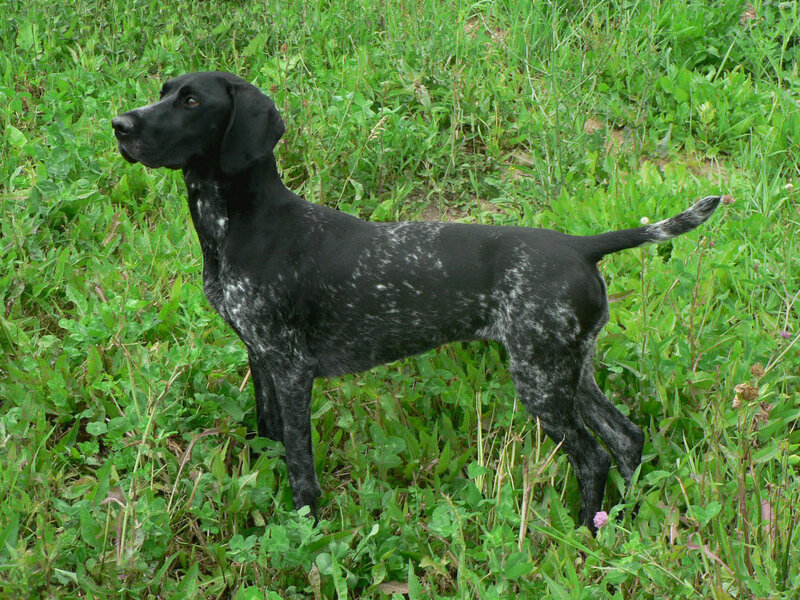 The dog's profile should be straight or strongly Roman nosed; any dished appearance to the profile is incorrect. 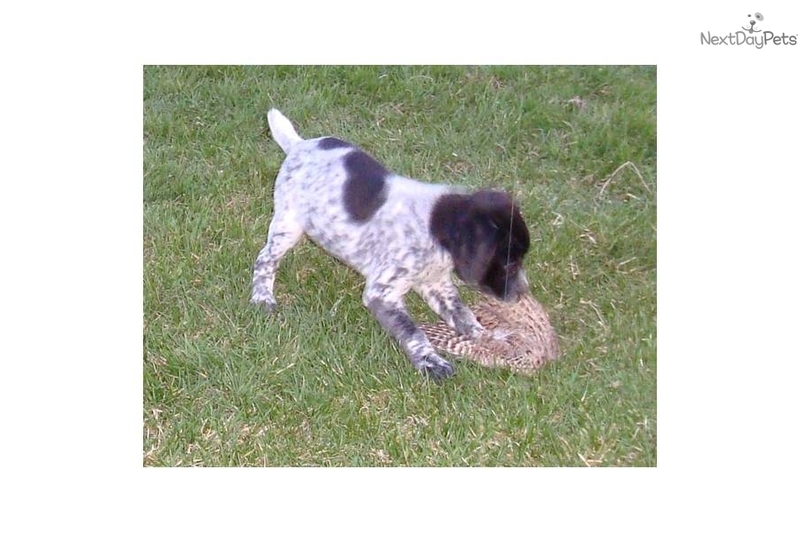 The eyes are generally brown, with darker eyes being desirable; yellow or "bird of prey" eyes are a fault. 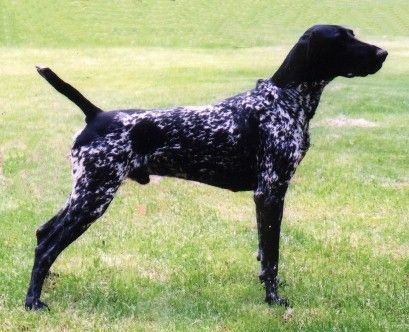 The tail is commonly docked, although this is now prohibited in some countries . 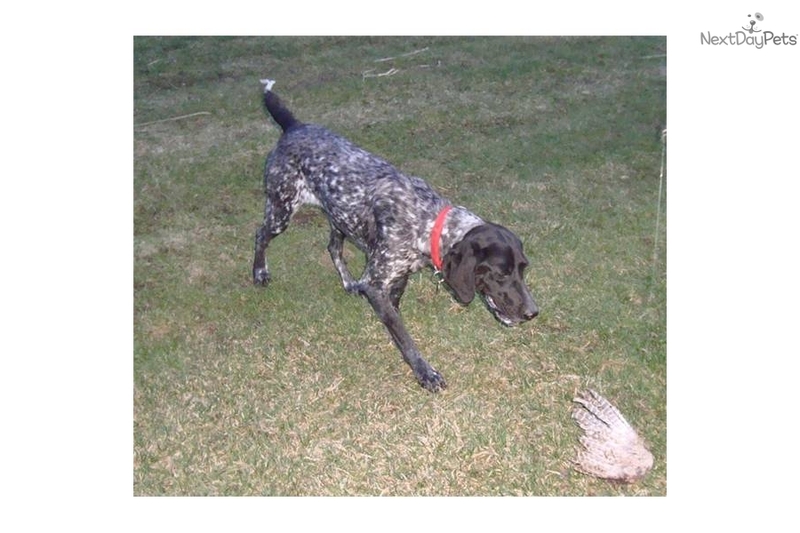 In the current breed standard the tail is docked at approximately 40% of its length before it curves. 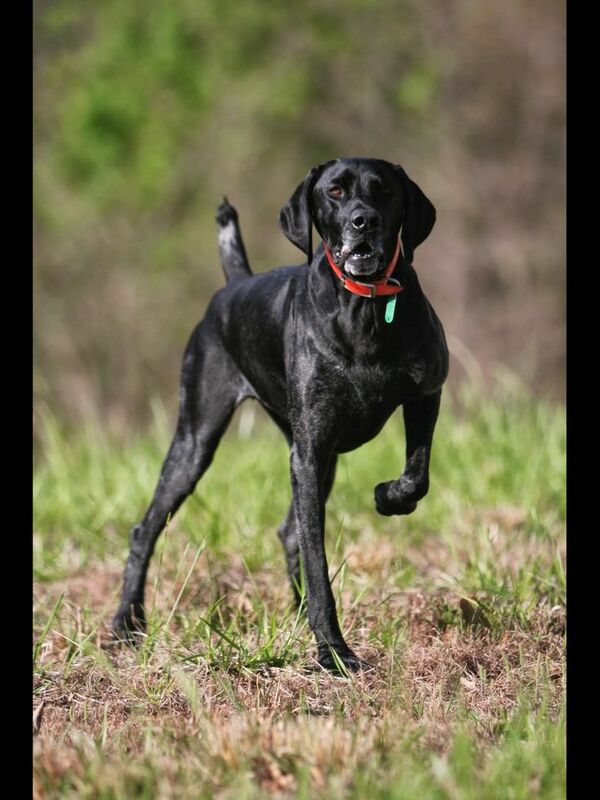 In competition the dog is penalized if the tail is curved either up or down while the dog is moving. 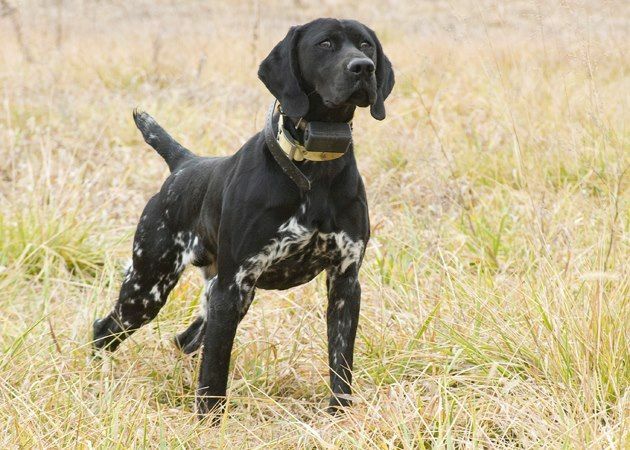 When the GSP is in classic point stance, the tail should be held straight out from the body, forming a line with the pointing head and body. 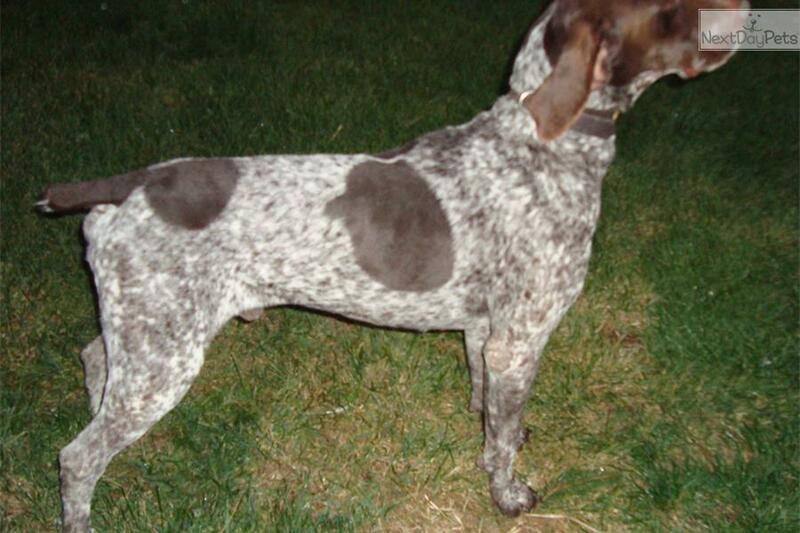 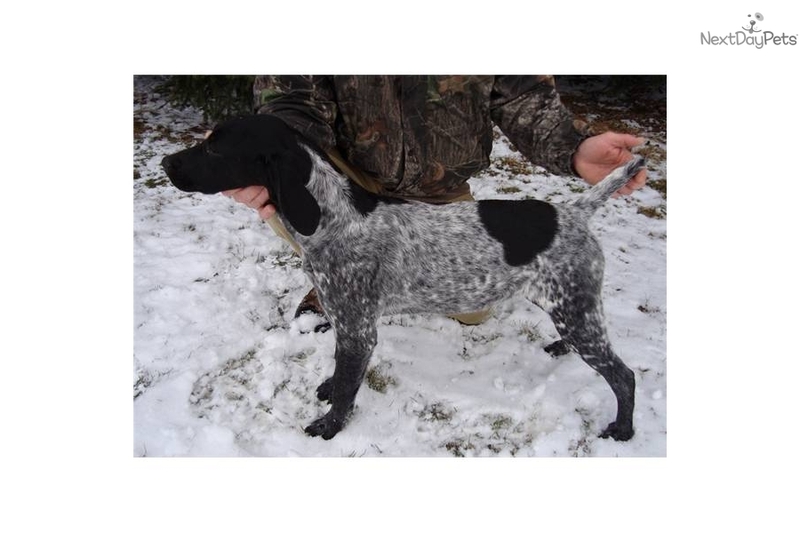 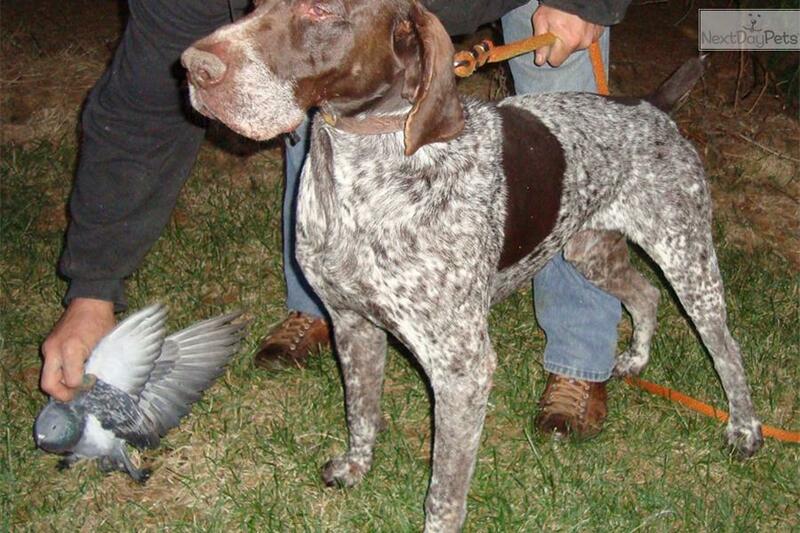 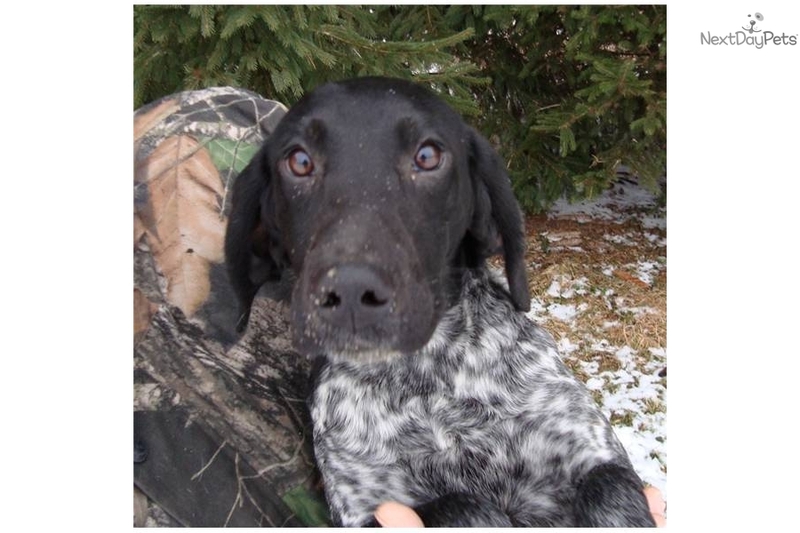 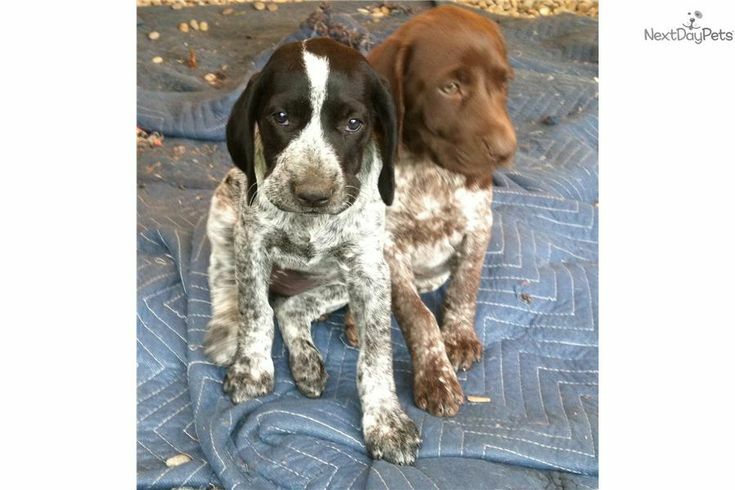 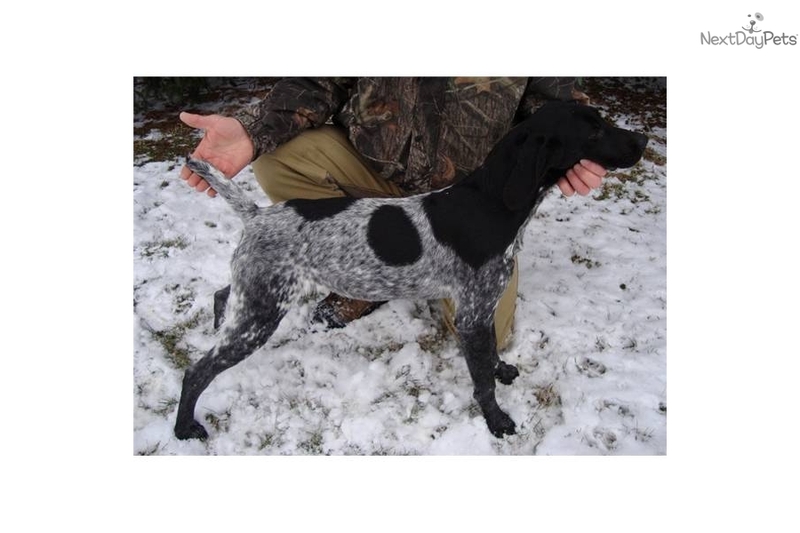 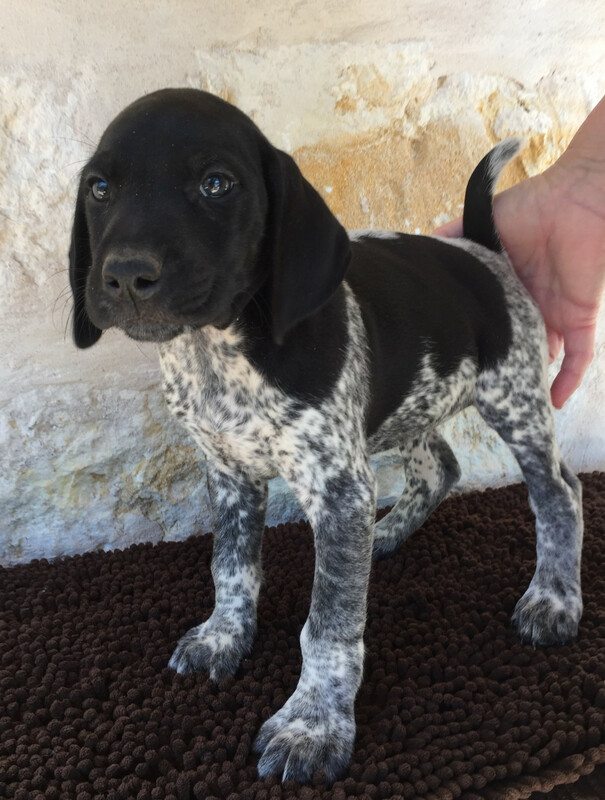 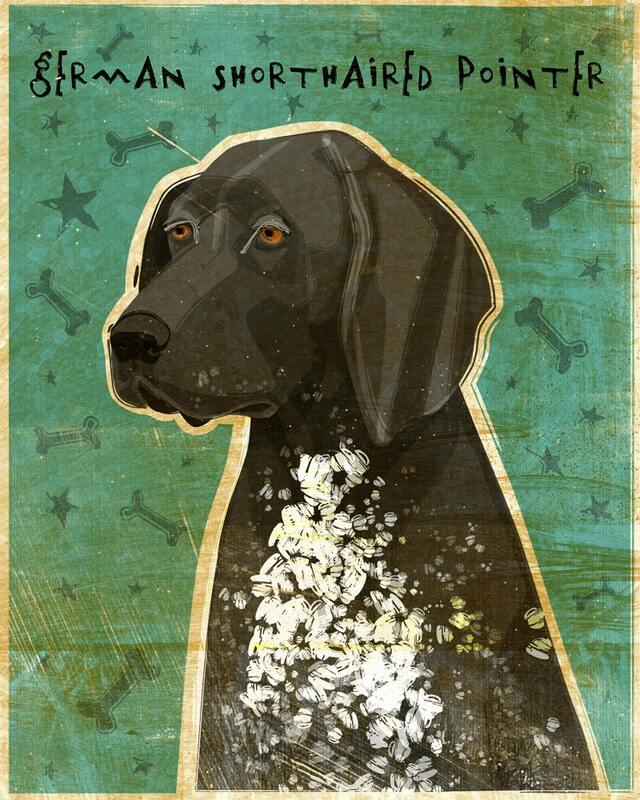 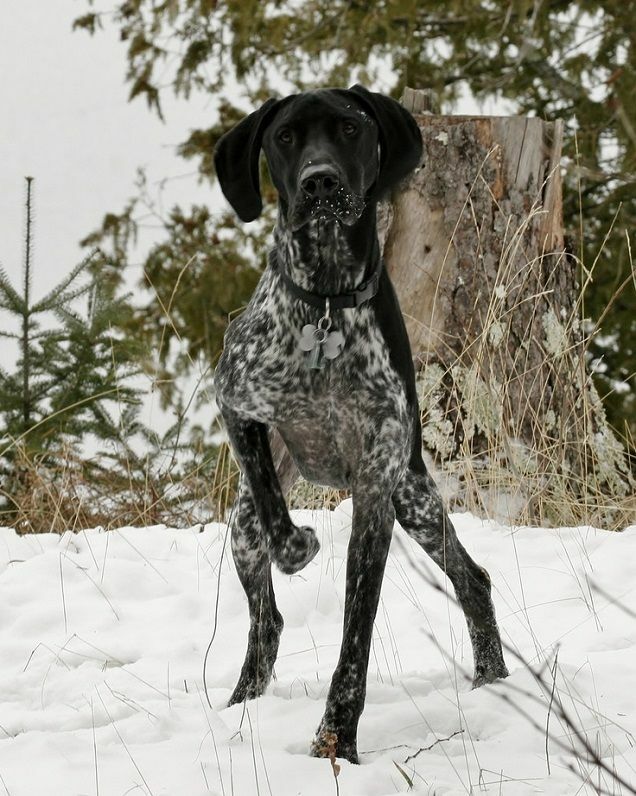 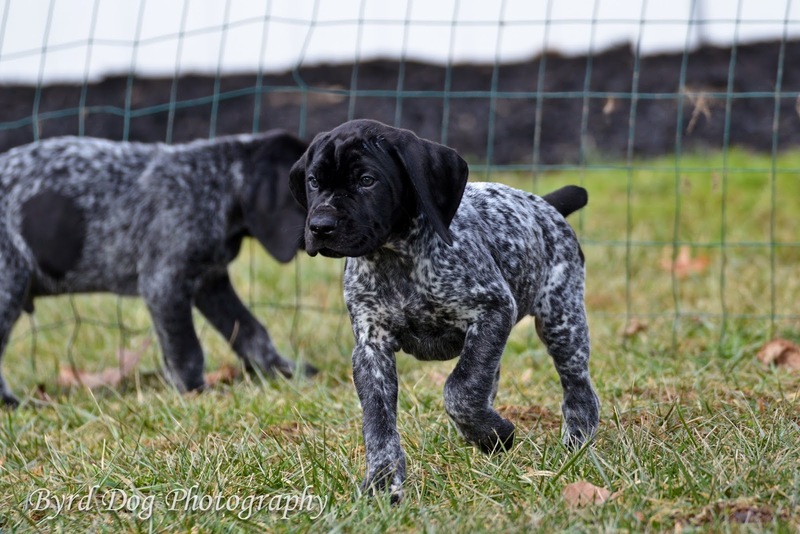 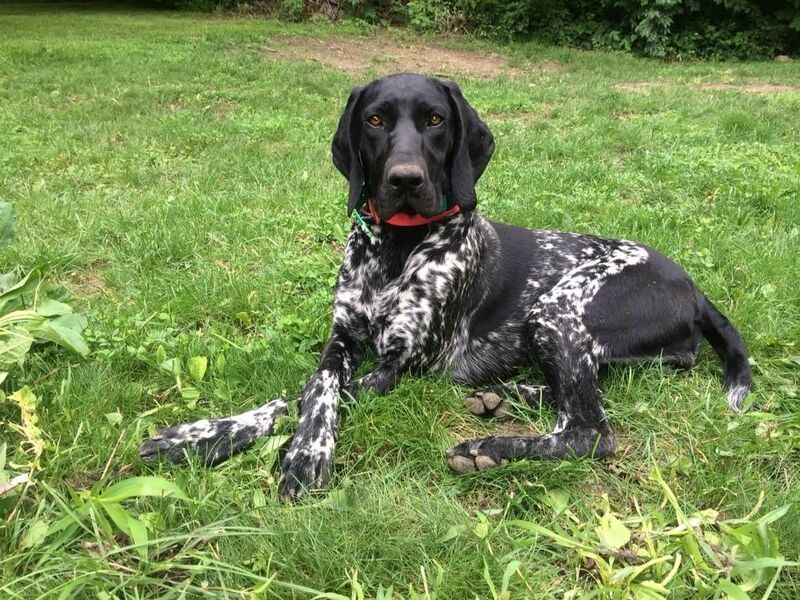 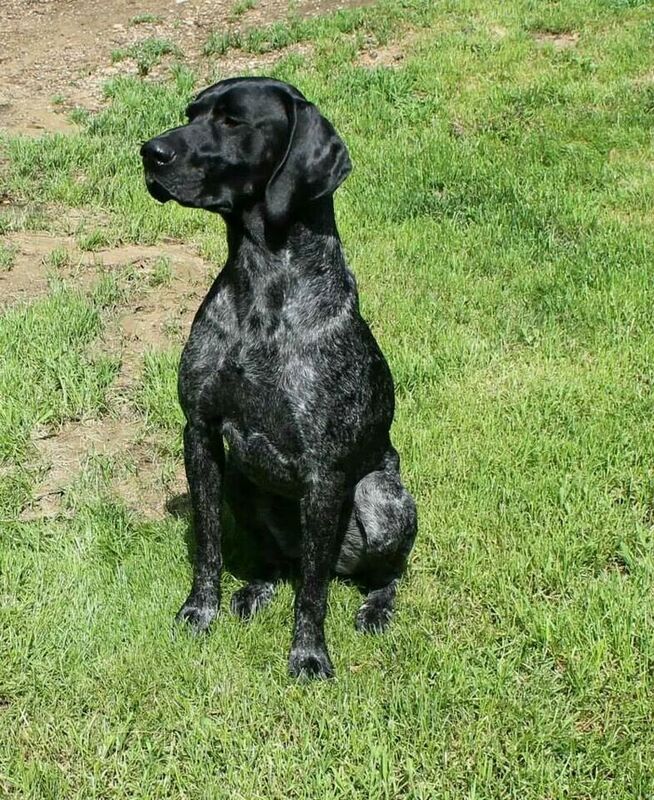 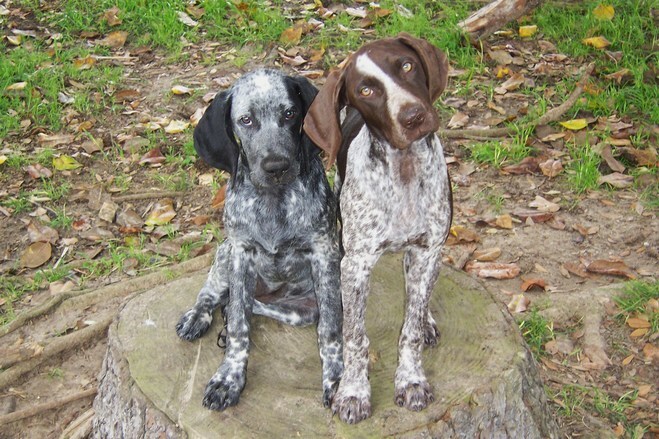 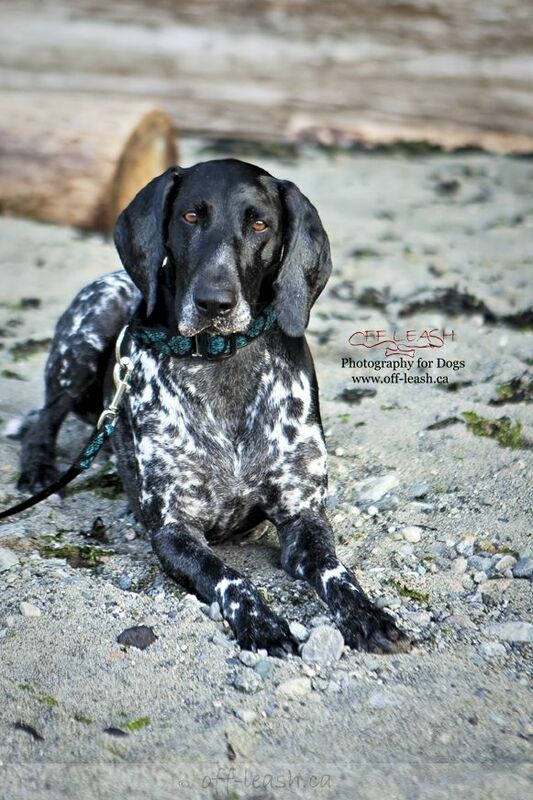 Like all German pointers, GSPs have webbed feet. 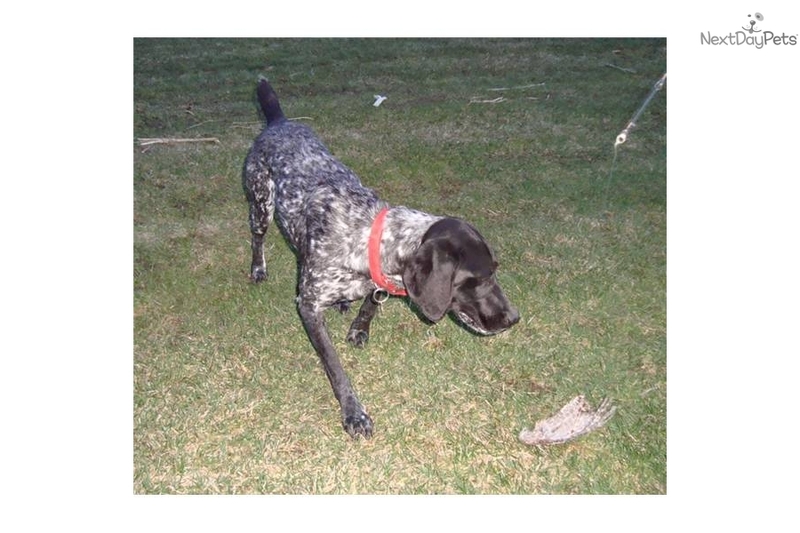 They are known for going after water fowl in the water.